The first instalment in our best-selling Corporate Governance eManual course gives you a complete introduction to corporate governance and the ACG holistic approach and methodology. 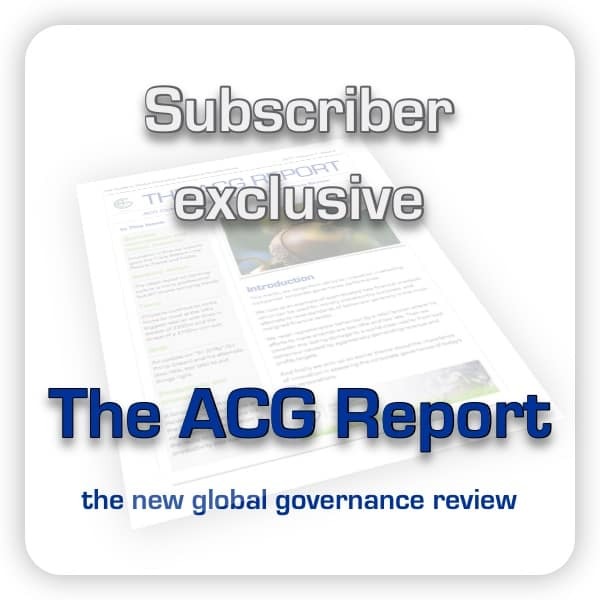 In addition, for a limited period, you will receive our new ACG Report, a monthly review and analysis of global corporate governance developments and innovation, exclusively for subscribers. Available for free during our trial period.